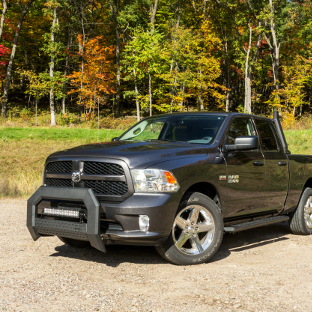 The look of pickup trucks has changed over the years. 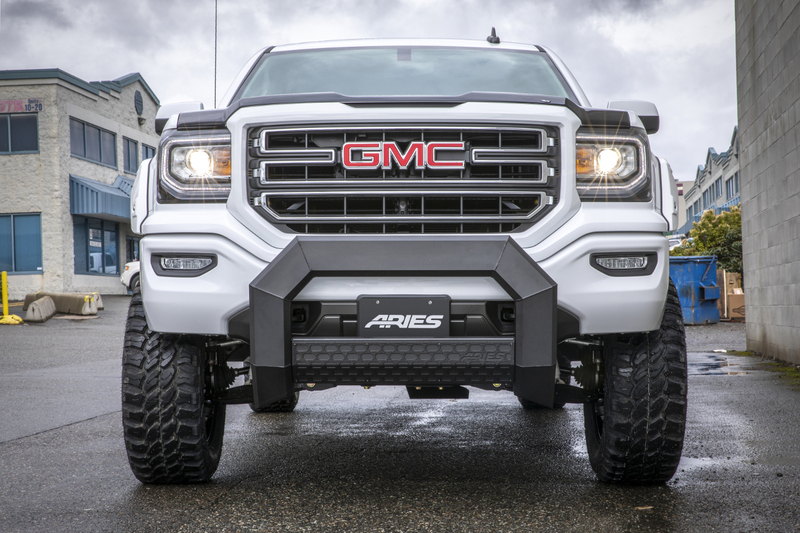 Today's pickup trucks require accessories that are designed to complement their modern features, match their durability in the field and help maintain their high fuel efficiency. 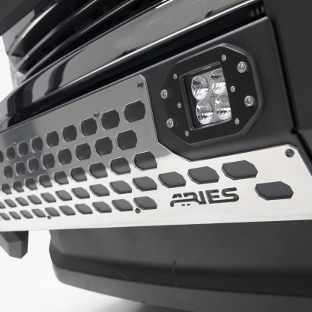 The ARIES AdvantEDGE™ bull bar sets itself apart with a modern, angular design and all-aluminum construction. 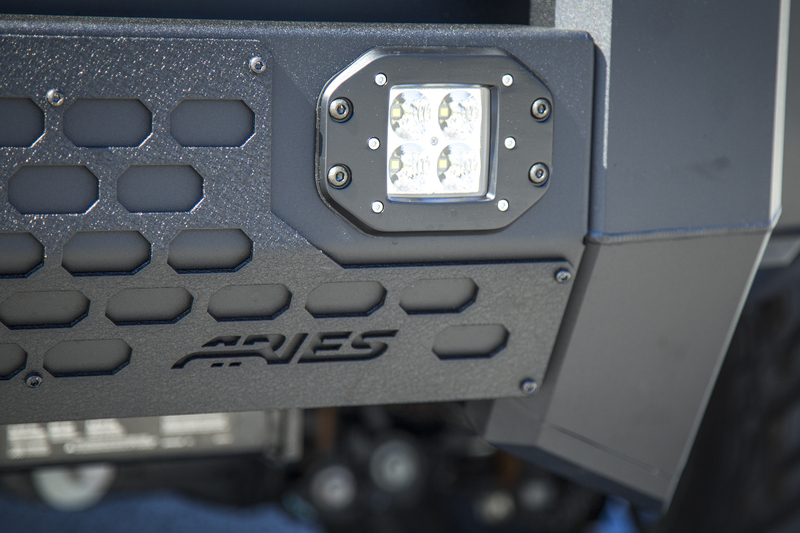 It features two crossbar options -- with or without integrated LED lights. It also installs with no drilling required and is available in two finish options. 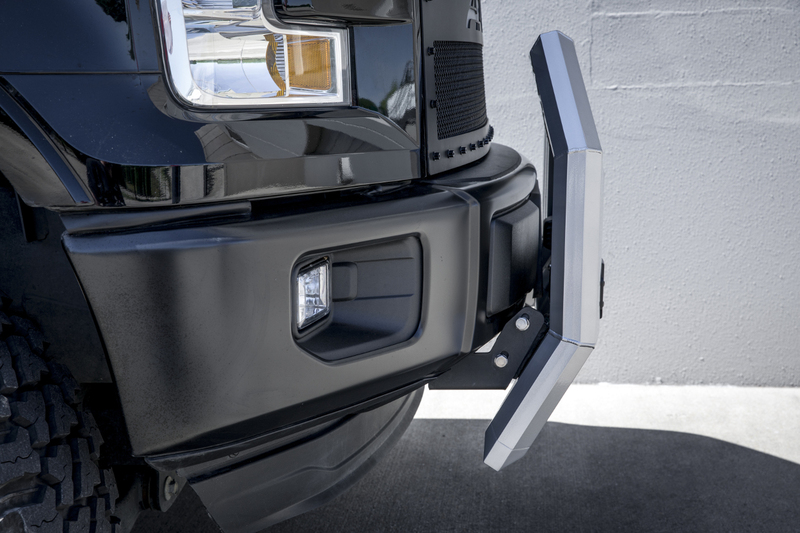 The AdvantEDGE™ truck bull bar is part of a larger series of accessories, allowing you to completely revamp the look of your pickup. Pair the bull bar with AdvantEDGE™ side bars and headache rack. 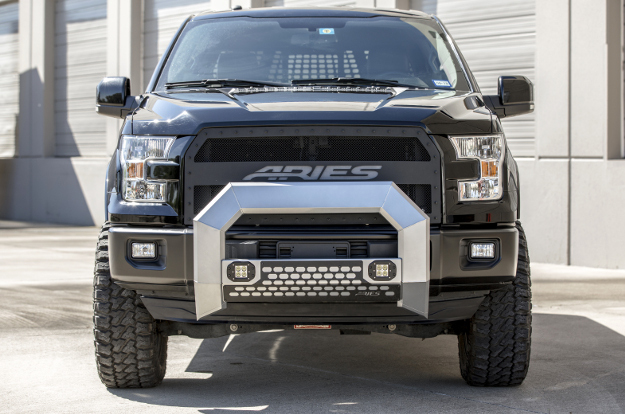 AdvantEDGE™ bull bars for trucks are designed to install quickly, easily and securely. They use a vehicle-specific brackets to eliminate drilling, and they have a track mounting system for simple adjustment as needed. 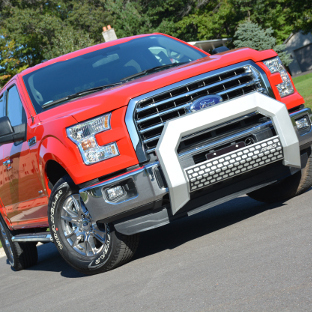 The AdvantEDGE™ bull bar is uniquely designed to complement the style of today's pickup trucks. 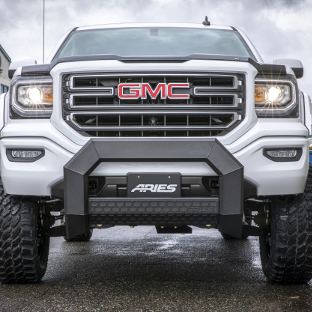 Instead of the common, rounded frame of other bull bars, it features a 5-1/2" wide, eight-sided tube profile, welded into an angular, A-shaped frame. It is also fitted with an octagonal grid cover plate on the crossbar, giving it just the right amount of attitude. 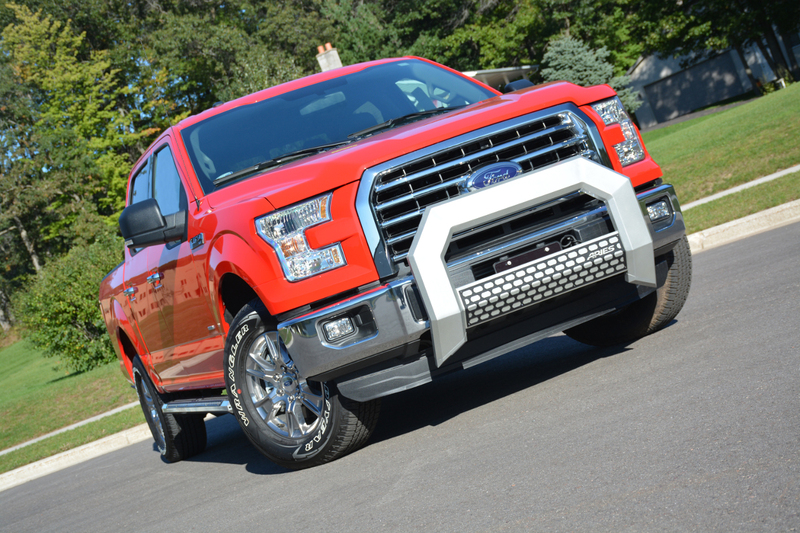 To make the AdvantEDGE™ truck bull bar even more unique, we construct it entirely from aluminum. The octagonal tubes are made from extruded aluminum, and the cover plate is built from stamped aluminum. 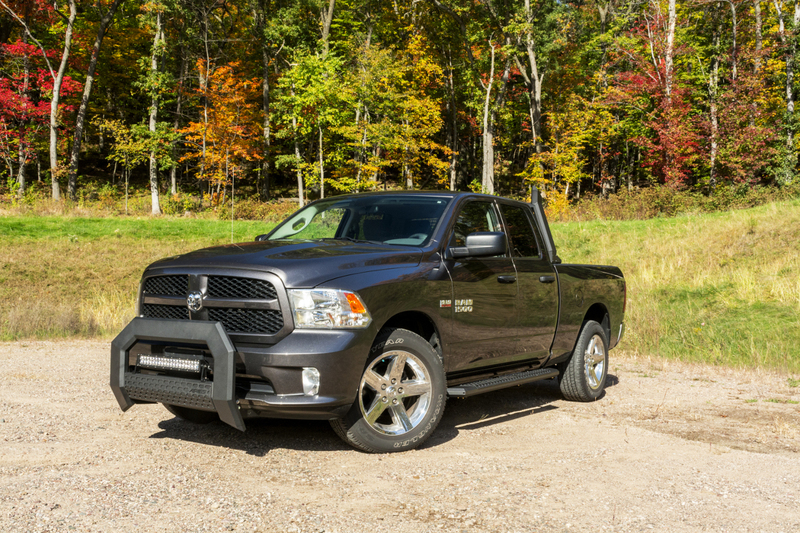 This all-aluminum construction allows the bull bar to be lightweight and rust-free, making it highly resilient to the elements and maintaining a consistent finish season after season. 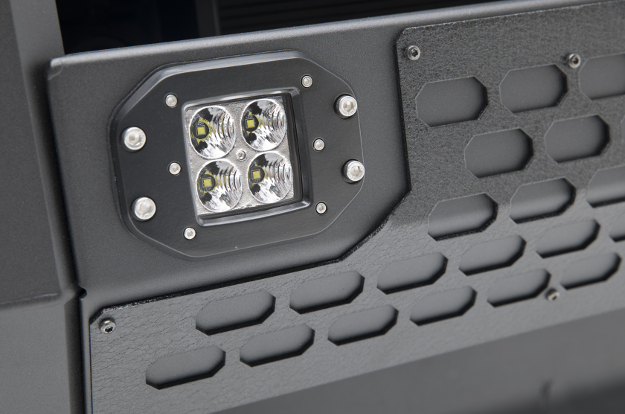 AdvantEDGE™ has two crossbar options: with integrated LED lights or an LED light mounting track. For option one, each flush-mount 2" LED light has grade-A Cree LED chips, an IP68-standard breather, waterproof construction and a 50,000+ hour lifespan. 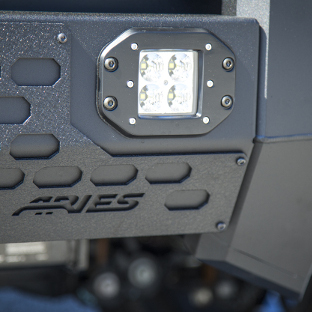 The lights provide 2,200 lumens each and come with a waterproof wiring harness. 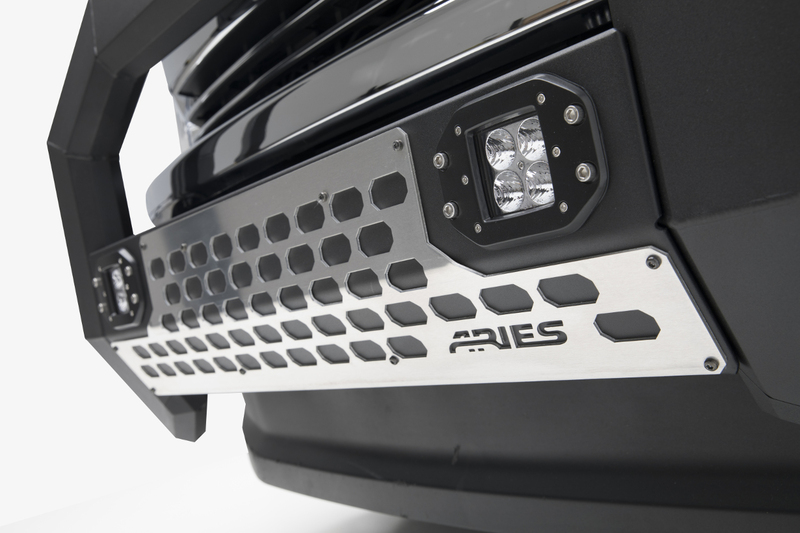 The AdvantEDGE™ bull bar without integrated LEDs features a standard crossbar with a track system on top, allowing you to mount an LED light bar or work lights. 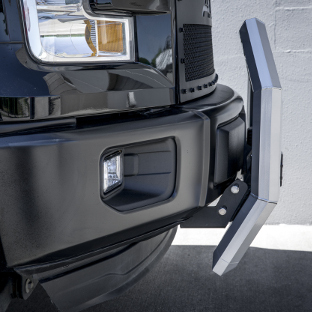 To provide the right look for each and every pickup truck, the AdvantEDGE™ bull bar is offered in two finish options: chrome and carbide black. To give it the extra toughness needed to keep up with today's trucks, both of these finish options are powder coats. 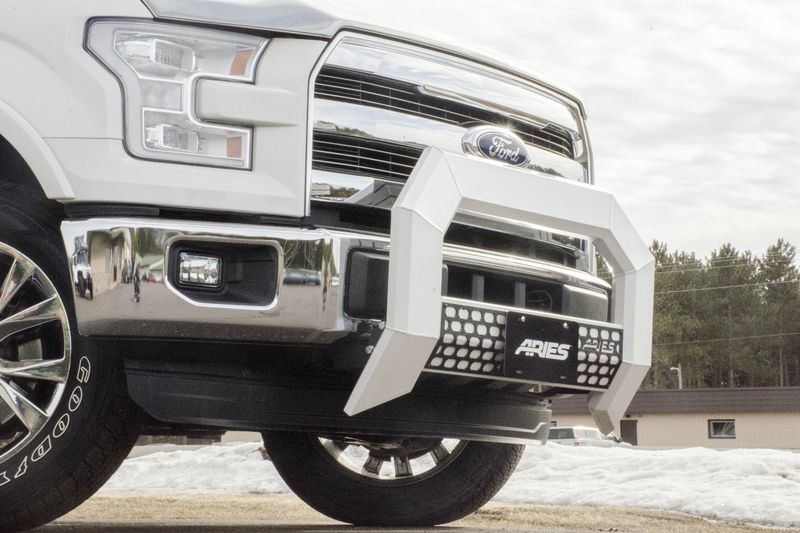 These polyester-based powder coat finishes easily resist scratches, chipping and peeling, and they provide the AdvantEDGE™ truck bull bar with maximum corrosion resistance. 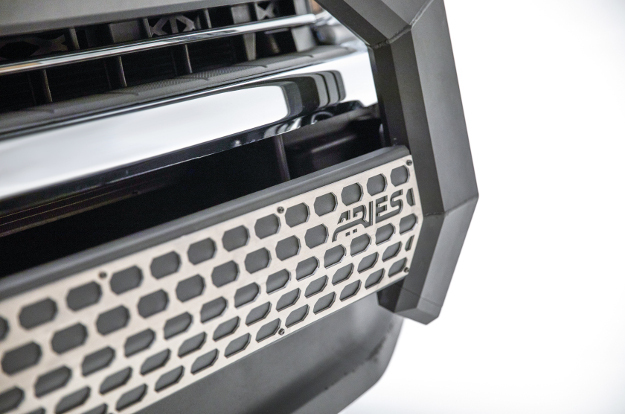 Both crossbar options and finish options of the AdvantEDGE™ bull bar come with a stamped aluminum cover plate to add aggressive style and a distinctive look. This cover plate is finished in a textured black powder coat for maximum corrosion resistance. For additional customization, we offer the cover plate in a raw aluminum option. This provides a ready-to-paint surface, allowing you to put your own custom touch on the AdvantEDGE™ bull bar. 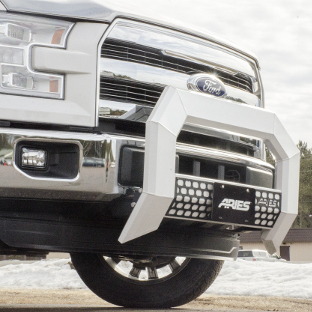 The AdvantEDGE™ bull bar uses vehicle-specific brackets and a track mounting system. 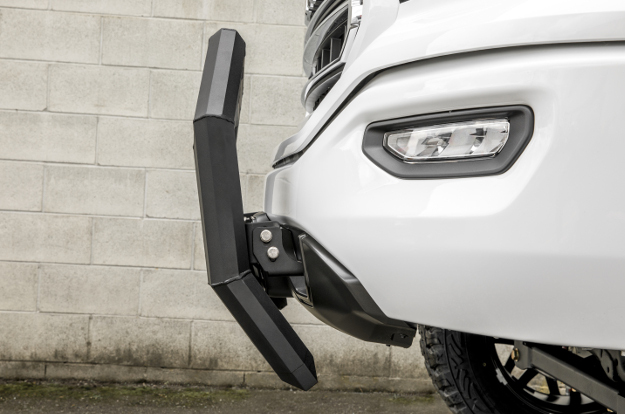 The backside of the bull bar features a set of channels that allow for precise adjustment to the profile of the truck. To ensure a custom fit for each application, the mounting brackets are made vehicle-specific, meaning they bolt into existing factory holes in the truck frame. This eliminates the need for drilling during the installation process and makes the bull bar more secure.